SGD 20 for 14 days. UNLIMITED DATA!!!! And when we landed in Dubai on transit and we switched on our phones – it still worked! 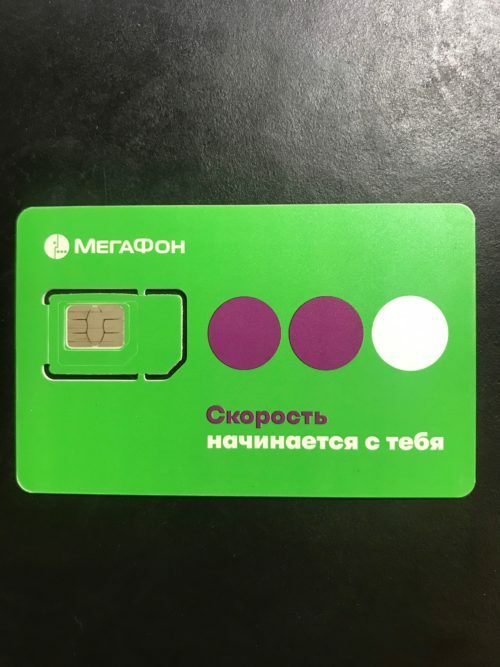 Has anyone tried this Megafon Russia SIM card in any other countries yet? Let me know! I’m recalling memories of my father by occasionally visiting places significant in his life. Every time I do, these places give up a little bit more about what made my father who he was. It was when I was maybe twenty two that my father and I started talking a little bit more. We took a road trip up Malaysia, opting to drive up the old ‘trunk roads’ rather than the North-South Highway. We stopped at Muar, Port Dickson, Mantin, and finally Seremban, where the bulk of both my parents’ extended families lived. En route, he told me in stops and starts, how he came to be in Singapore and Malaysia. Port Dickson was where his father had settled after escaping persecution in Hainan and Canton because he was a Communist agitator; Muar was where he accidentally stopped overnight because the bullock cart driver didn’t or couldn’t convey to him that his final destination was supposed to have been Port Dickson; Mantin was where he lived with his mother and uncle because they were estranged from his father. But Singapore was where he first landed some time in 1936 or ’37, but his father, who was in Port Dickson at that time, didn’t make the journey south to receive him, and my father was instead put in the care of a Hainanese clan and put to work, at age 7, in a coffee shop on Seah Street for a year. I didn’t get much more detail of his vocation on Seah Street, but I remember him telling me his first impression of Singapore, or rather, that of the quarantine station on St. John’s Island. 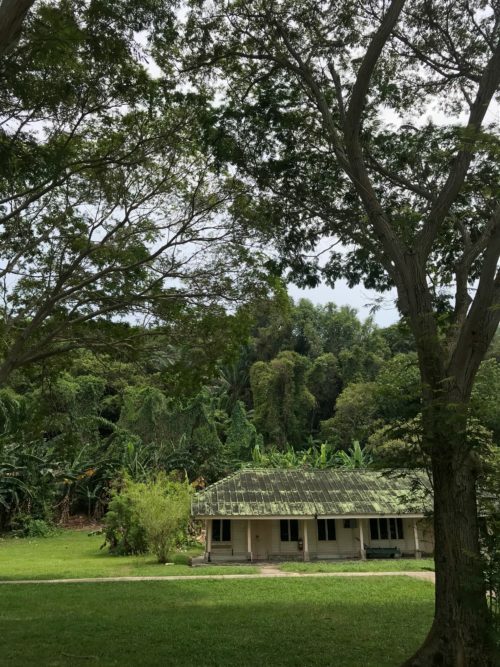 This tiny, hilly island, a 20 minute ferry ride from Marina South, also happens to be where Raffles dropped anchor as he prepared to negotiate control over a sleepy fishing village with a view to turning it into the bustling metropolis it is today. 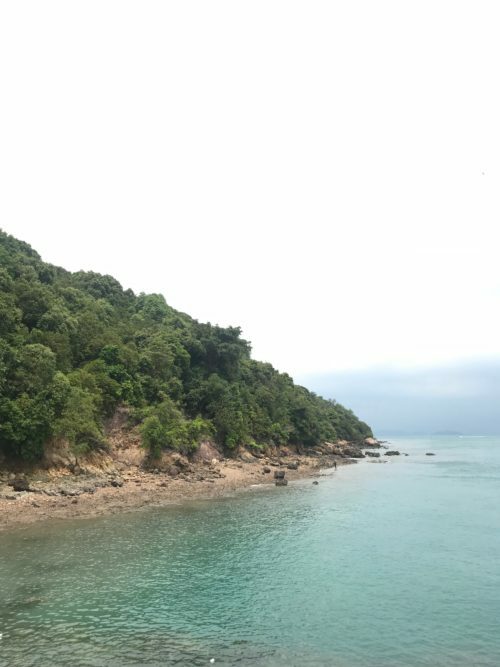 This sandfly-infested, and more recently, asbestos-riddled island wasn’t named for some Ang Moh called “St. John” either. The name is simply an anglicised corruption of the original Orang Laut name for the place, “Pulau Sekijang”. But what matters more to me is what my father remembered of Pulau Sekijang or St John’s Island or whatever foreign destination it was to him at the time. I remember his voice going up in pitch as he said, “They throw the flea powder on me – just throw like that, all over”. This was the little snippet of his early life that he kept repeating to me over subsequent years. It was only many years later, and only after I became a father myself that I realised how very terrified and traumatised the seven year old him must have been. Because of our recent flurry of travel, and the accompanying explaining of trains, planes and other vehicles to our son, I’ve compiled a list of aircraft I’ve been on, and the airlines who flew the flights. Yes, it does show my age. 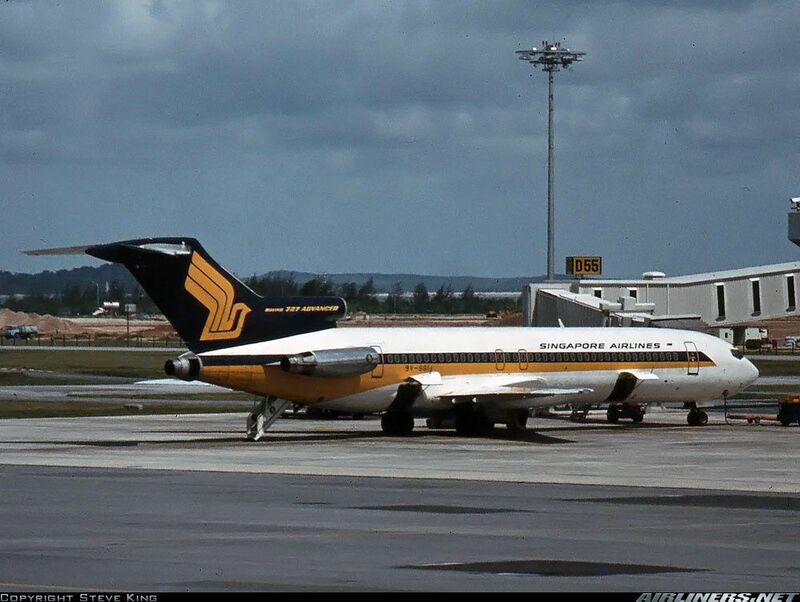 First Generation Boeing 737-112: I remember this plane as being my first ever flight – to KL from Singapore. I was about four or five, and I tried to run up the stairs and fell backwards and hit my head. I spent the 50 minute flight crying and nursing a giant baluku. 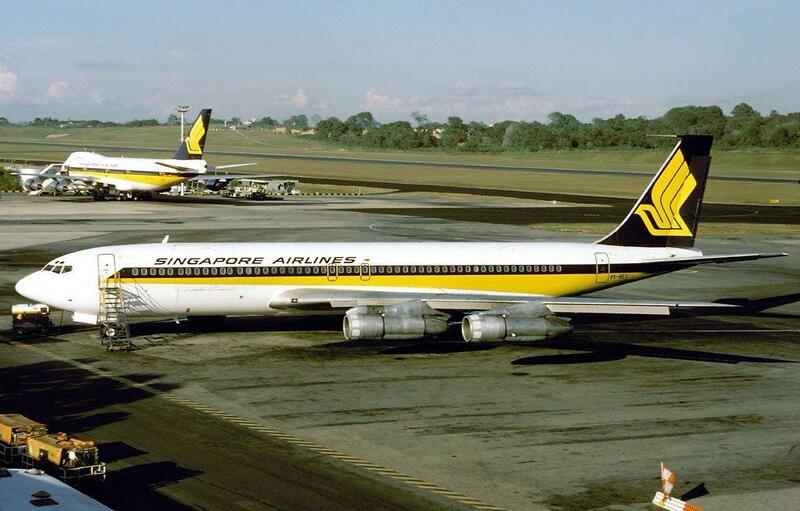 Boeing 707-320B – Singapore Airlines used these for medium-haul flights. I remember being on one to Taipei. McDonnell-Douglas DC-8 in Japan Air Lines livery. I remember the family vacation in 1977 which featured this plane – and distinctly remember the windows having curtains instead of plastic window shades. The Philippine Airlines flight we were on was more memorable for the fact that it had to go around when attempting to land in Manila. 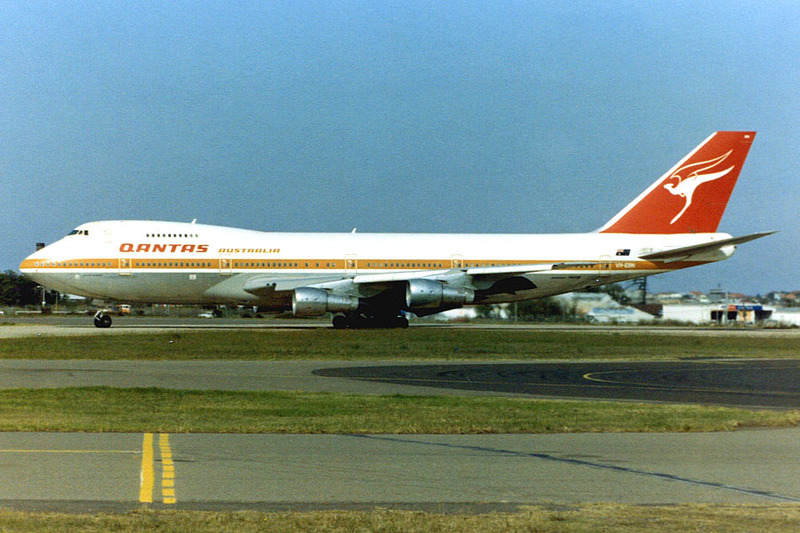 Boeing 747-200: It was 1980 and my parents were taking us to Melbourne for the first time since they left in 1965. Changi Airport was still a year away from completion. So when I saw this plane from the bus that was taking us to it on the tarmac, I nearly peed myself in excitement. It was my first ‘jumbo-jet’ ride. The Boeing 747-SP was a shortened version of the 747-100, and ‘SP’ stood for ‘Special Performance’, because this plane was supposed to fly further and faster than other 747s. The flight I took from Los Angeles to Singapore however, took on epic proportions, as we stopped in Honolulu, then unscheduled in Okinawa to refuel, then Hong Kong before coming home. I remember that 23 hours on board, in an era where you weren’t asked to leave an aircraft in transit. The Boeing 727 is a tri-jet, with a notable feature – a rear stair-door. This allowed a famous incident where an unknown hijacker opened it midair and parachuted off it to escape. The A300 was the world’s first wide-bodied commercial jet with only two engines. The most memorable flight for me was in 1989, when the SAF chartered three flights to get us to training in Thailand. We landed in an unknown (to us NSFs) airfield somewhere in Thailand, in the middle of the night. We de-planed with our baggage, and the plane powered up and took off into the night. 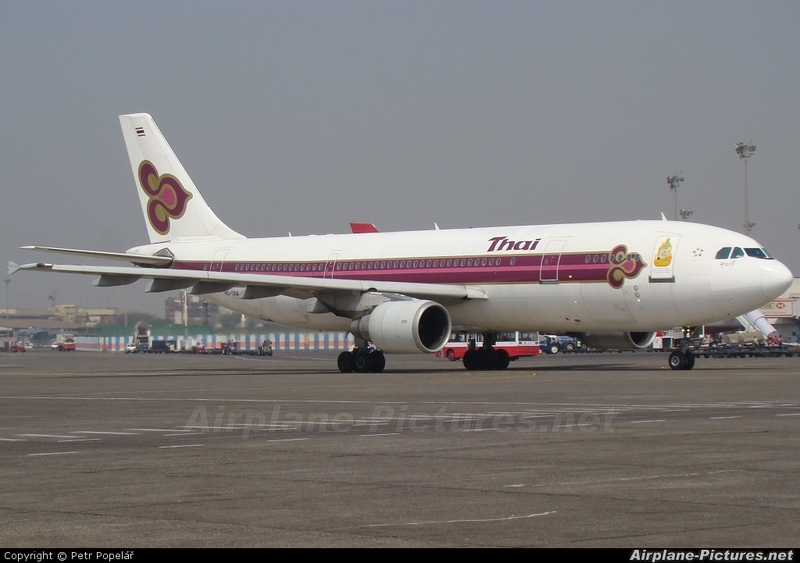 Airbus A310 – this aircraft became the SIN-KUL shuttle in the years before low-cost carriers appeared. Both MAS and SIA operated this route which at the time was one of the world’s most lucrative sectors. A return flight could cost around S$300 – and this was in the 1990s. 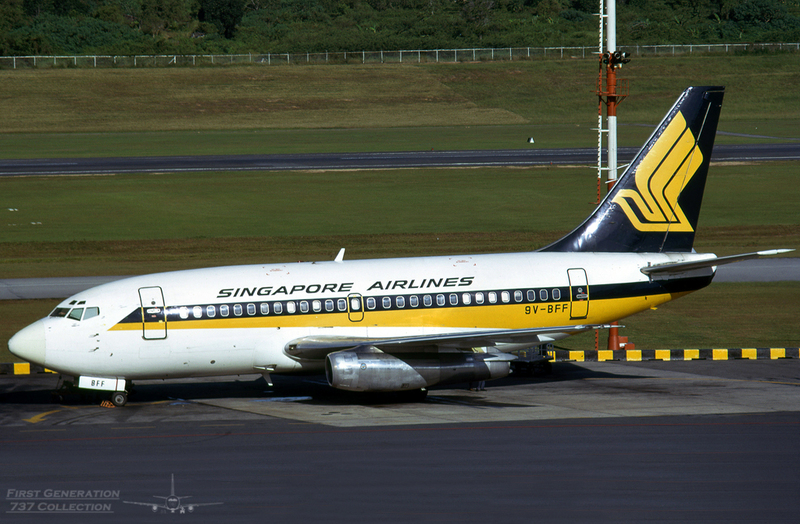 Of course, one of the SIA A310s was famous for an unsavoury incident – the SQ117 hijack. I was honoured to be invited to speak last week to Singaporeans working and studying in three American cities. Organized by the US Liaison of the Overseas Singaporean Unit – the same people who bring Singapore Day to known Singaporean hubs around the world – the talks were held at cozy venues which also featured some Singaporean-ish food. Contrary to what some thought, there was no “official messaging” that I had been instructed to deliver, things along the lines of, “don’t forget Singapore, it’s your home, please come back”. Instead, I was asked very broadly to talk about the media landscape in Singapore. That was an easy brief because I could spend hours making fun of Mediacorp. But people were hungry, and the buffet spreads were waiting, so I let everyone off with a presentation that lasted maybe half an hour. 3. The OSU is a great networking facilitator. Register yourselves, keep in touch, and don’t be silly – the Gahmen is not trying to track and limit your movement. It’s merely trying to see how it can help you succeed. Honest! But thank you for hosting me in the limited time I was there. To my old friends in Boston who contacted me, it was great getting in touch again IRL. Didn’t occur to me we hadn’t seen each other in two decades. Thank you Facebook. To the Singaporeans in Chicago who stayed on and chatted over a couple of rounds of drinks – thank you, that was fun! And to Pittsburgh. Goodness, what a pretty town. I’m sorry I had preconceived notions of it being a bleak steel town because that’s how ignorant I am. For the kids and the not so young studying at Carnegie Mellon – you guys rock, and thanks to you, we now know that the last Batman movie had an over-representation of Singaporeans. I hear this series saw a record turnout in each city, so thank you for coming out (including the fella who flew in from Florida) on the most tumultuous weekend in recent US history. And thank you Overseas Singaporean Unit for organising this whirlwind tour. Kyra Poh of Team Firefly very kindly lent #KaiFly her old full face helmet today. Our son Kai has taken to indoor skydiving like – I don’t want to say ‘a fish to water’ so we’ll just say he likes it very much, and that he’s learning pretty quickly. He’s been wanting to fly since he was four, and has waited three years for his first flight because the minimum age for flying in the wind tunnel is seven. On his seventh birthday in April, we asked him where he’d like to go, since it was his day and he said without hesitation, “Sentosa, iFly”. Before his first flight, he had a good few months looking up to our homegrown, world-beating Team Firefly, which comprises two 14-year olds, Kyra Poh and Choo Yixuan. Several times, he declared, “I want to be in Team Firefly”, and so you can imagine he was absolutely thrilled when we surprised him on his birthday with flights at iFly Singapore, and a meeting with his idol Kyra. Today, with the windspeed up high enough for Kyra to fly with him, and with him being stable (and skilful) enough to fly at that higher windspeed – the two got to trade moves and play tag in the tunnel. The payoff for us? Just check out that beaming face behind the helmet’s visor. Stay tuned as we track Kai’s progress in the sport he’s fallen in love with. We call it #KaiFly – so you can try searching this tag across other social media platforms.